The error message comes to you when you want to log on to Windows 10 that The user profile service failed the sign-in Windows 10 and also Windows 10 User profile cannot be loaded. 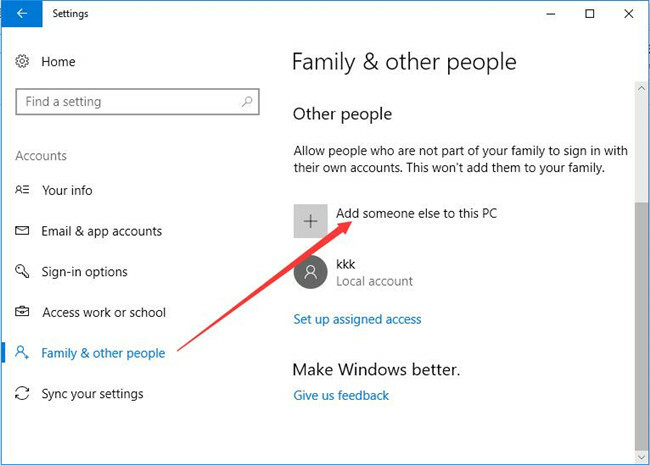 You cannot login to Windows 10 with a user account due to this corrupt user profile. 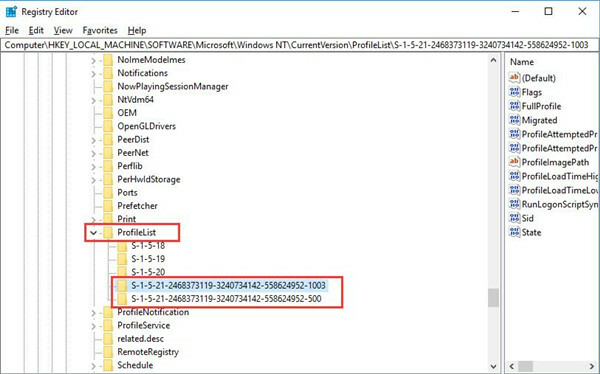 This article will allow you to troubleshoot this Windows 10 user profile service failed. What Dose It Mean When The User Profile Service Failed The Sign-in? When you type the password on the log-on screen and want to enter your system, you will receive this error: the User profile services failed the sign-in, User Profile cannot be loaded. In Windows 7, it shows you the user profile services failed the logon. In this condition, you cannot access your computer. The user profile may be corrupted or it is a temporary profile. 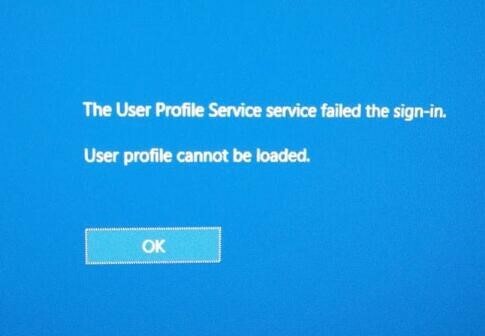 How to Fix The User Profile Service Failed the Logon on Windows 10? Just like the user profile service failed the logon Windows 10, Windows 10 user profile corrupted can also appear because of various reasons. User profile cannot be loaded on Windows 10 usually runs to you when you are using antivirus software to scan for virus or when you have just upgraded from Windows 7 to Windows 10, Windows 7 user profile service failed the logon gets close to you along with the system. Now try the ways below to fix this login failed error. Shut down the computer completely and then reboot it can resolve it and allow you to log into the user account. So prior to taking any steps, you would better reboot your computer and login in Windows 10 with the user account again to see if this time, the error persists. If you find user profile service fail to logon cannot be removed in this way, you can either change profile value in registry editor or copy the data to an administrator account. 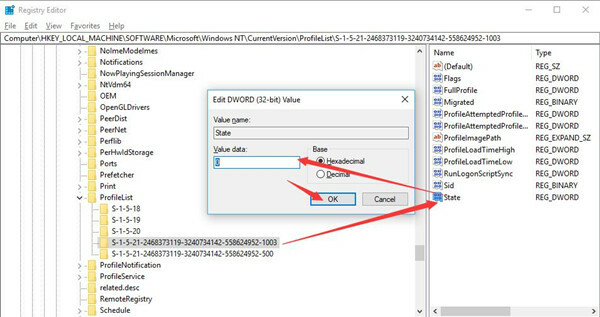 To fix Windows 10 user profile service failed login, you can struggle to adjust the value for the user profile. Since it is finished in the registry editor, the steps can be troublesome. You just need to follow the procedures in order to remove the corrupt user profile. 1. 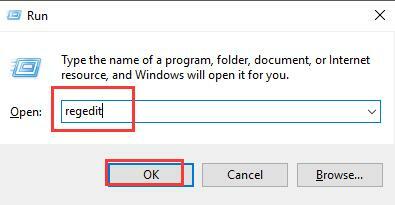 Press Windows + R to open the Run box and in the box, type in regedit and hit OK.
2. 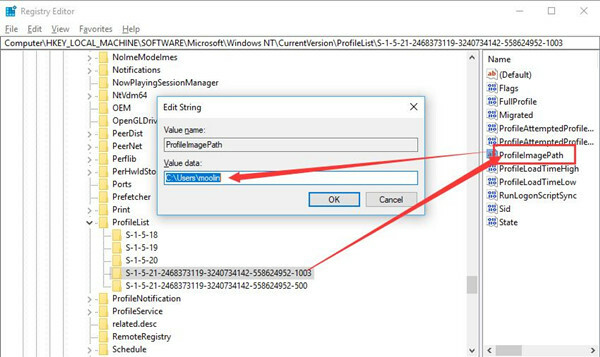 In Registry Editor, move to HKEY_LOCAL_MACHINE\SOFTWARE\Microsoft\Windows NT\CurrentVersion\ProfileList. 3. Under ProfileList, locate all the SID keys (start with S-1-5 along with long numbers). 4. Choose every S-1-5 with long numbers folder and in the right pane, locate ProfileImagePath and double click it to check if its value data is the user account on your PC. 5. Until this step, there are mainly two cases, you are to choose from them depending on your circumstance. Circumstance one: You have two S-1-5 folders with long numbers and ends with .bak. Under ProfileList, right click the S-1-5 key with long numbers and also ends without .bak to Rename it to end with .bak. Right click the S-1-5 key with a long number but ends with .bak to Rename it without .bak (just remove .bak from its name). Right click the S-1-5 key with the long number and ends with .bak to Rename it to end with .bak. Circumstance Two: You have one S-1-5 folder with long numbers and ends with .bak. Right click the S-1-5 folder ending with .bak to Rename it to the name without .bak. 6. Select the S-1-5 key along with long numbers but ends without .bak, and in the right pane, find out State and double click it to Modify its value to 0. 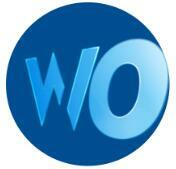 You are to modify the value for RefCount to 0 as well using the same steps. You can sign in without meeting Windows 10 the user profile service failed the logon. 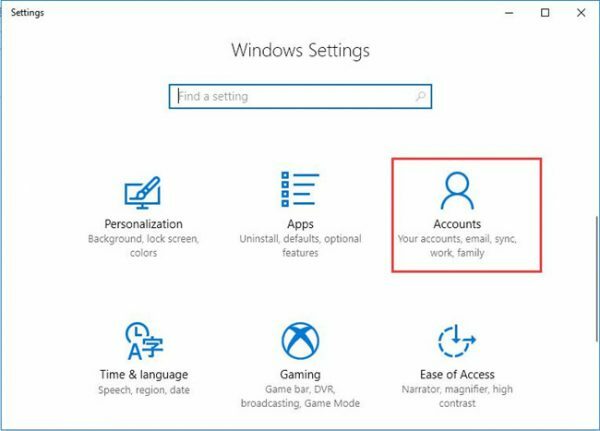 For the purpose of fixing the corrupt user profile that causes you not be able to log on to Windows 10, it is feasible to add a new account to Windows 10. 1. Go to Start > Settings > Accounts. 2. Under Family & other people, click Add someone else to this PC. 3. 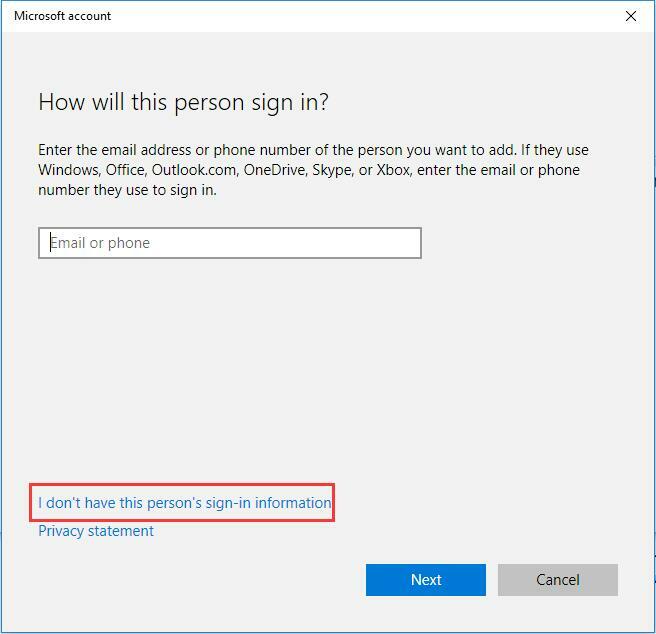 In How will the person sign, hit I don’t have this person’s sign-in information. 4. 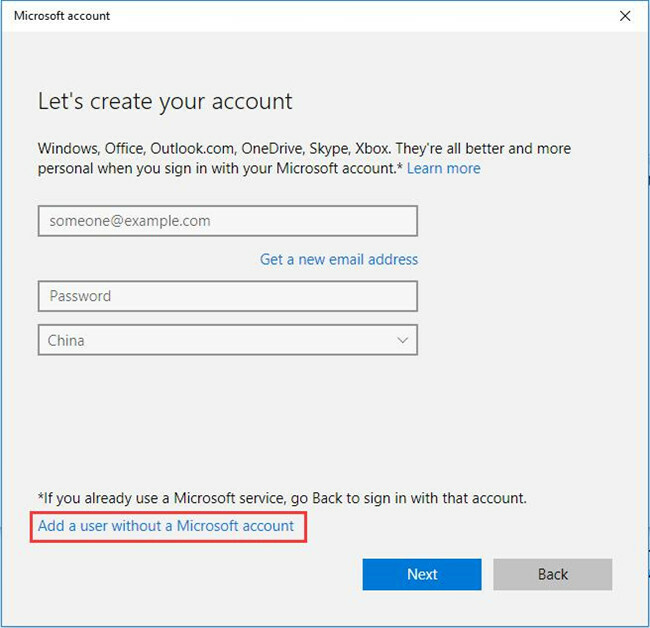 Choose to Add a user without a Microsoft account. 5. Create an account for this PC. You are to enter the name, password, etc. Then you are capable of going on by hitting Next. After you added a user account to this PC, you can sign in with it and copy the data. 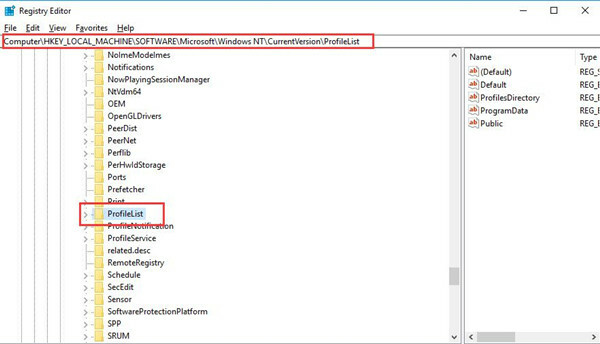 It is common that you won’t see Windows 10 user profile service failed the logon. 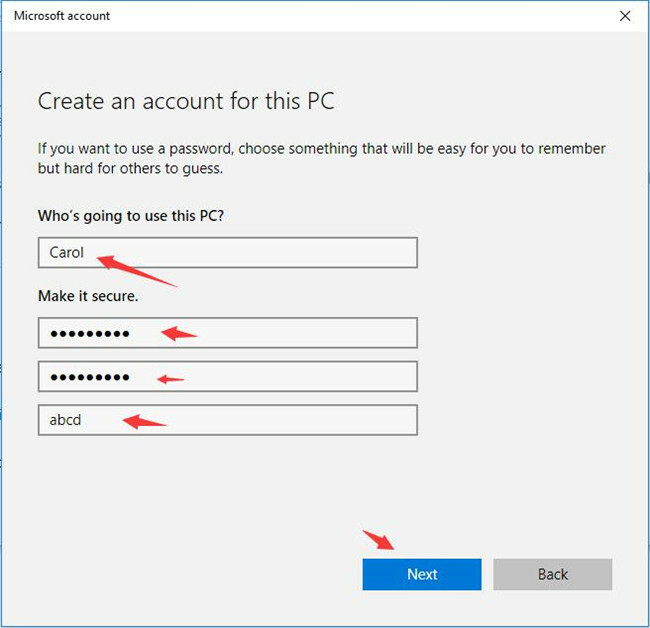 At this time, you can learn to fix the user profile service failed the sign-in on Windows 10 with these three ways. If not, maybe you have to reset Windows 10 or restore Windows 10 to a point where there is no corrupt user profile.